Hey every one out there. I wanted to share a few snippets about a wildlife tracking apprenticeship field trip we took on September 13. A small group of us carpooled up to the sandbars of the Skagit River. This was a trip to a new location. None of us had been there before. Not even Jason. But lay your doubts aside, it was phenomenal! Right from the beginning we found a wonderful spot and Jason set up tracking station for us to investigate. 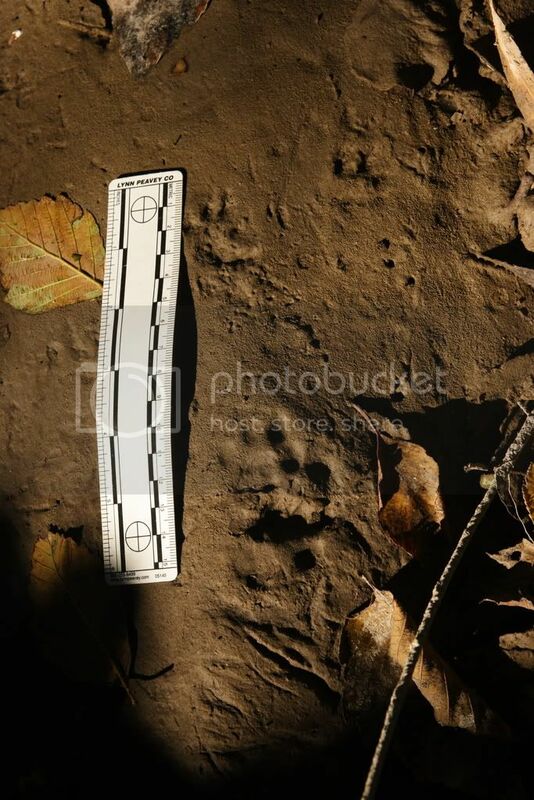 This small bar of clay running along the side channel of the main river was rich with tracks. We identified a number of species on this spot and there were enough tracks to show some of what the animals were doing in that location. A Douglas squirrel had passed through and left a nice set of deep tracks showing all 4 feet clearly. A house cat had come stalking by, and its tracks crossed the trail of a mink. Along the edge of the river where the bank formed an overhang, a Norway rat had walked by; its front and hind feet showing up in pairs. As we looked closely at the tracks, song sparrows sang from across the channel and a kingfisher came rattling by. We moved on from here and head further along in the riparian zone on the edge of the river. A ruffed grouse spooked off the trail ahead of us, and then as we tried to get closer, it exploded into the air with a whir of wings. Where the grouse had been, we found the bones and feathers of an American crow. We discussed how many of the feathers had been clipped at their bases and surmised it was likely killed and eaten by a mammalian predator of some kind. From here, it was on to the main event! We searched out the shallowest portion of the side channel to cross, so as to reach the giant sandbar beyond. Well, we found just the spot. But, before we crossed we found several great trails to check out. Beautiful raccoon tracks traced the edge of the channel. We also got to compare and contrast some nice tracks of spotted sandpipers and killdeer. 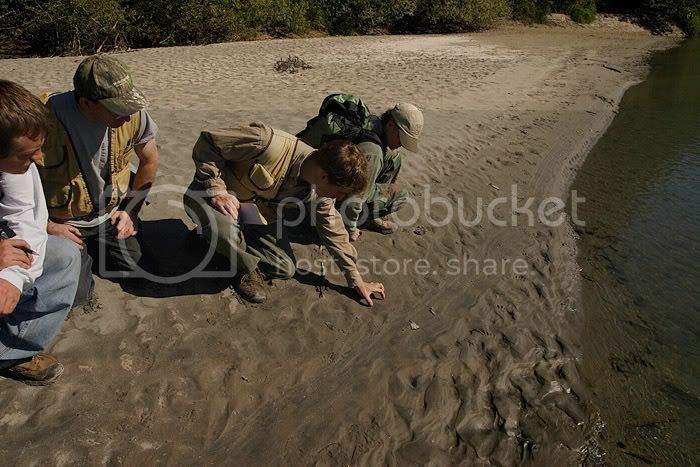 After pulling our eyes away from the silty sand, we got down to the business of crossing. Pulling shoes and socks off, we crossed what was described as "brisk" water. Immediately after, we found tons and tons of tracks. Tracks on top of tracks. Raccoon, Canada goose, greater yellowlegs, sandpiper, great blue heron, black-tailed deer, coyote and many others printed their tracks in all directions over the sandy soils. The tracks were so extensive that we spent a significant amount of time practicing the art of trailing, following a single animals tracks over a long distance. We chose to focus on deer. It was sunny and grew progressively warmer, the further we explored out on the sandbar. A perfect early fall day to be in the natural world.